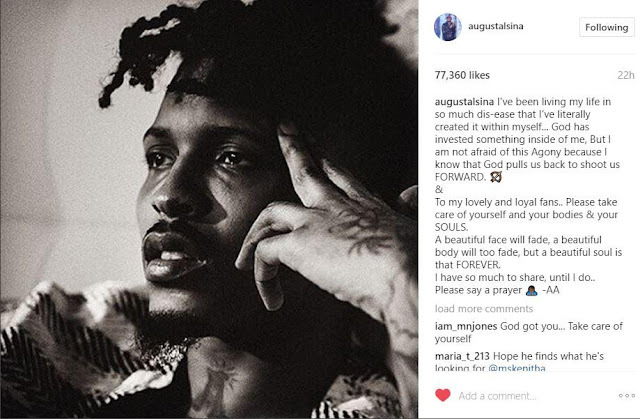 American R&B singer, August Alsina who in May 2015 revealed that he was going blind after he was diagnosed with degenerative eye disease and later underwent a surgery to prevent his eyesight from deteriorating has asked his fans to say a prayer for him. 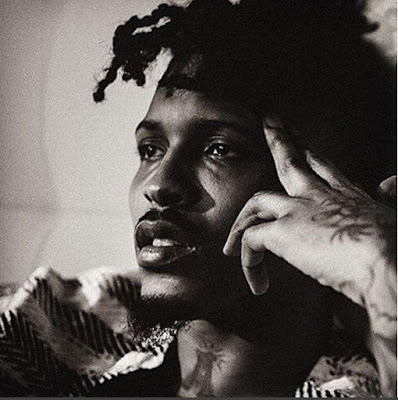 'I've been living my life in so much dis-ease that I've literally created it within myself... God has invested something inside of me, But I am not afraid of this Agony because I know that God pulls us back to shoot us FORWARD. To my lovely and loyal fans. Please take care of yourself and your bodies & your SOULS. A beautiful face will fade, a beautiful body will too fade, but a beautiful soul is that FOREVER.